Last year the majority interest of North American Cannabis Holdings (“USMJ”) and Puration (“PURA”) were reorganized under American Cannabis Innovations Conglomerated (“ACI”). A new website was launched with information about both USMJ and PURA. The new website included an FAQ section to address questions about the reorganization and the two companies’ overall business strategy. The original FAQ responses remain on the website with some new updates added to the old responses. Some new FAQ responses have been added. 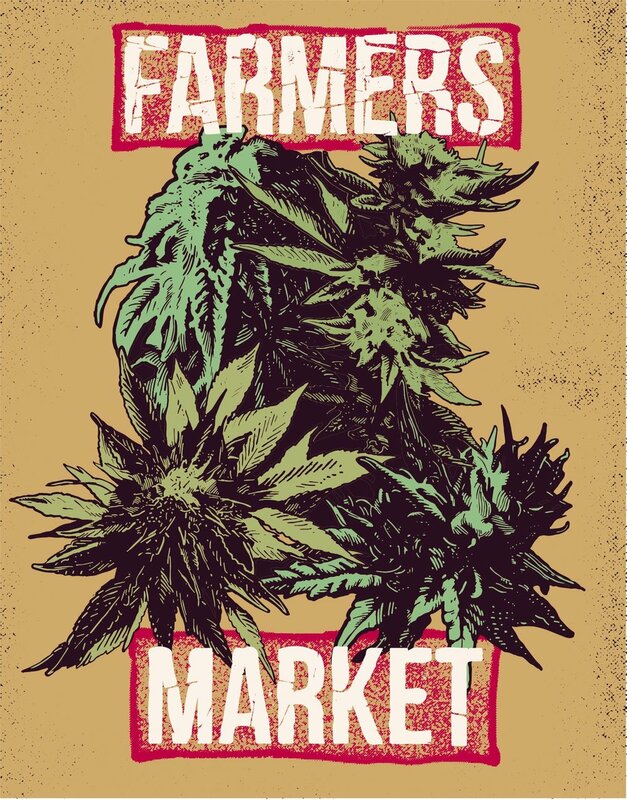 The cannabis sector is rich with promising entrepreneurial endeavors. The dotcom market of the nineties was similarly rich with promising entrepreneurial technology endeavors. The major difference between the cannabis and dotcom sectors is the availability of follow-on investment. Seed capital to fund concepts comes largely from the entrepreneurs themselves and their friends and family. Worthy concepts then have access to follow-on venture and mezzanine investments. However, the interim state of nationwide legalization throws a wrench into the availability of follow-on investment for worthy cannabis concept enterprises. A growing number of entrepreneurial endeavors are dealing with the shortage of follow-on investment by taking their enterprises into the micro-cap public market to fund growth with investments structured around publicly traded stock. This comes with some pluses and minuses. On the plus side, enterprise agnostic capital is available for companies with penny and sub-penny priced share prices. Criteria for a direct investment in a micro-cap public company is less about the operational prospects of a company and more about trading history and potential. The minuses include increased government regulatory scrutiny for enterprises the government finds objectionable. A core component of the business development strategy behind USMJ and PURA is to diversify operations into related, but separate business entities. For instance, the patented cannabis extraction operation in PURA was originally under USMJ. Today, USMJ and PURA work together, but each can pursue investments and deliver shareholder returns through independent listings. By positioning discrete operations within separate business entities, we optimize access to the limited availability of follow-on capital within the micro-cap public investment arena. We also mitigate the risk of a possible weakness within in one function negatively impacting the viability of a separate function. In a similar fashion, we plan to further diversify operations into independent listings and we now have new tools available that we think will improve the spinoff process to diversifying into independent listings. While the PURA spinoff was executed through the sale of the extraction operation to another micro-cap public company that included a dividend issue of PURA stock to USMJ shareholders, we now plan to take advantage of the new Regulation Crowdfunding tools to diversify operations. USMJ shareholders had to wait a year after the spinoff for the PURA dividend shares to be eligible for free trading under existing rules for exemption from registration (see FAQ UPDATE: “I HAVE PURATION STOCK ISSUED TO ME IN A DIVIDEND …”). Our future direction entails registering separated operations under the new Regulation Crowdfunding rules and shortening the timeframe until spinoff shares are eligible for trading. As we look at new spinoff opportunities, our selection criteria are centered on facilitating our pursuit of the largest cannabis market opportunities. USMJ and PURA are working together and with other third parties to position shareholders to benefit from the large legal recreational market opportunities in Canada and California. There is nothing new to share here in FAQ at this time other than a confirmation of our Canada and California strategies and the information that is available in recent press releases, on the website and in public disclosures. Management is enthusiastic about the Canada and California opportunities and encouraged by the business development progress to date. For further updates, see the updated information in original FAQ entries below. I have Puration Stock (PURA) issued to me in a dividend distribution from North American Cannabis Holdings (USMJ) and my broker tells me the stock is restricted and I can’t sell it. What do I do? On July 28, 2015, Puration, Inc. (PURA) entered into a Share Exchange Agreement with North American Cannabis Holdings, Inc. (USMJ) where PURA acquired all of USMJ’s wholly owned interests in certain Joint Ventures with World Hemp Oil & NaturesComfortMeds. In exchange for the Joint Venture assets, PURA issued to USMJ two (2) series of Convertible Preferred Stock. Series (“A”) represented fifty-one percent (51%) voting control of PURA and Series (“B”) was designated for conversion into a number of common shares equal to the number of USMJ shares issued and outstanding at a date to be determined. On December 09, 2016, USMJ converted the Series “B” Preferred Shares into 56,521,149 common shares of PURA and distributed the PURA commons shares to the USMJ shareholders of record as of October 21, 2016. Those that own the restricted shares can contact a lawyer that specializes in securities law and request the lawyer to render an “opinion” regarding a lifting of the restriction based on regulatory rules and guidelines for various “exemptions” from registration. Such a lawyer will be able to guide you through the process of lifting the restriction so that your shares can be freely traded. The information above regarding the Share Exchange Agreement between USMJ and PURA, and the subsequent Series “B” Preferred Stock conversion into common stock, and the issuance of that common stock through a dividend distribution is all available publicly on the OTC Markets website. This is the key information a lawyer would require to render an opinion on an exemption from registration that would permit a lifting of the restriction so that the shares could be freely traded. The information here is not a guarantee that a lawyer will find the common shares issued through the Series “B” conversion and dividend distribution in compliance with any regulatory rules or guidelines governing potential exemptions. Management is exploring the possibility of engaging a securities lawyer on behalf of those shareholders holding PURA common stock issued from the Series “B” conversion to render opinions for the lifting of restrictions. Again, this is not a guarantee that such an engagement will come to fruition. If such an engagement were to proceed, the earliest date anticipated for such an engagement to be in place would be December of this year, 2017. PURA management has authorized the TA to remove the legend without out an outside legal opinion being provided by the shareholder. Puration announced that EVERx CBD Infused Sports Water would be available at Drug Emporium. Is it on shelves at Drug Emporium yet? On May 25, 2017, Puration, Inc. (PURA) announced an agreement with Drug Emporium to sell EVERx CBD Infused Sports Water. The agreement still stands, but EVERx is not yet available at Drug Emporium. 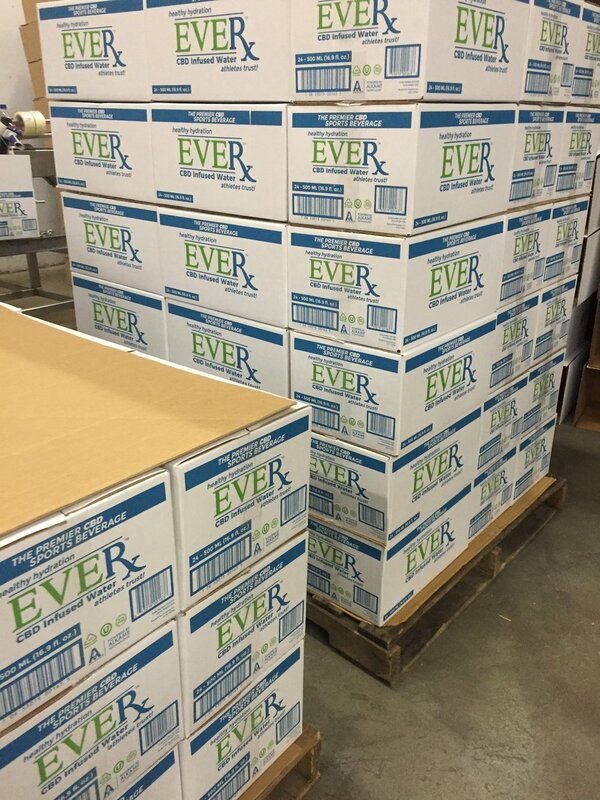 Both PURA and Drug Emporium are eager to get EVERx on shelves. EVERx shipments to Drug Emporium store locations are anticipated to begin imminently. Will EVERx be available for sale online? 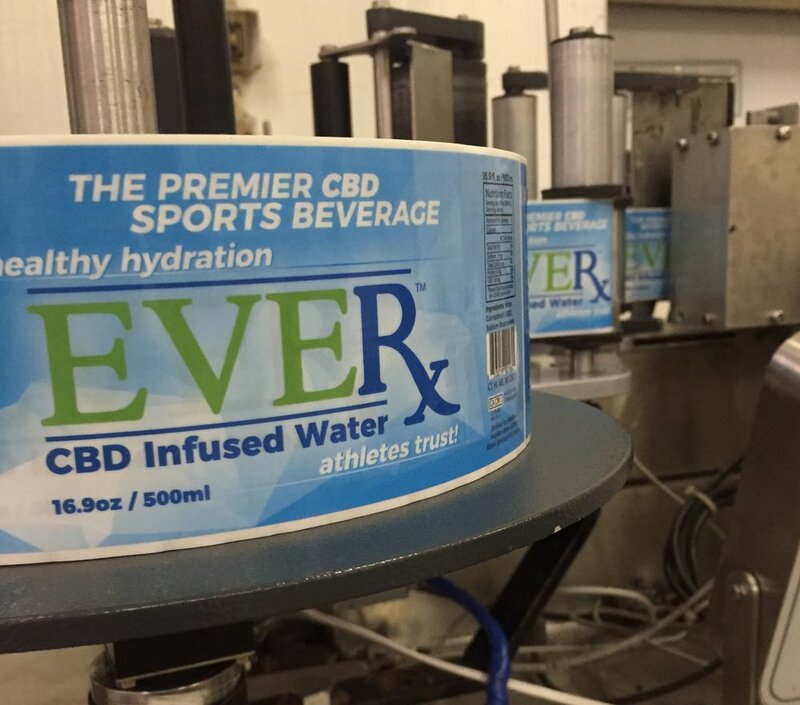 A plan is in place and underway for EVERx CBD Infused Sports Water to be sold online. Earlier this year, an outside firm was engaged to develop an online sales and delivery application for EVERx. That application is not yet complete. In conjunction with the American Cannabis Innovations (ACI) acquisition of the controlling interest in North American Cannabis Holdings, Inc. (USMJ) and Puration, Inc. (PURA), both USMJ and PURA are undergoing some business updates to include an update to communication strategies. A new consolidated website has been launched with the USMJ and PURA web addresses all linked to the new ACI website – www.aciconglomerated.com. The companies now have a consolidated email address – info@aciconglomerated.com. The companies have a new consolidated telephone number - 1 800 861 1350. The companies have a new consolidated physical address – 14065 Proton Rd, Farmers Branch, TX 75244. In conjunction with the transition to a new communications strategy, corporate communications have slowed in part due to the changes in websites, emails and phone numbers. Communications have also slowed in part while the companies’ various assets and strategies are reviewed, and an updated strategic plan is considered. Press releases have slowed down but not stopped. Keep looking for updates from the companies to be forthcoming as the ongoing strategic review continues, and the go-forward business strategy is developed.